Join the Home Comfort Program!! 24-Hour Air Conditioning & Heating Repairs and Installation in Carrollton, GA – Call Now! Welcome to Merrell & Associates, Inc., an established West Georgia HVAC and mechanical contractor. We have been in the indoor comfort business since 1952 when R. Ellis Merrell installed his first heating and cooling system in Carrollton, GA. Our philosophy has always been and still is to put your needs first, so we back all our products and services with a 100 percent satisfaction guarantee. We’re always here when you need us, and we’re only comfortable when you are. When heating and cooling problems occur in your business, it’s serious. Not only are employees uncomfortable which can affect productivity, but if you’re a retail establishment, customer comfort can be affected as well. No product or service purchases will mean a loss to the bottom line. We understand that you need a professional HVAC company with the expertise to get your business or commercial space up and running again as quickly as possible. You can count on our NATE-certified technicians to arrive with a fully stocked truck to diagnose and then make the repair as quickly as possible. We provide 24/7 emergency service and our technicians have experience with all HVAC models. Our ENERGY STAR Home Performance Evaluation can give you the information you need to make your Carrollton, GA, home more energy-efficient. By following our technicians’ professional advice, you could reduce your heating and cooling costs by up to 30 percent. With our residential and commercial scheduled maintenance agreements, your heating and cooling systems will operate at peak efficiency, last longer, require fewer repairs and cost you less in monthly utility bills. When it’s time for a furnace, heat pump or air conditioner replacement, ultra-efficient Carrier systems can pay for themselves over time by dramatically reducing annual heating and cooling costs. We can help you to save even more with energy-efficient federal tax rebates, Georgia Power Company energy incentives, and dealer discounts on select systems. 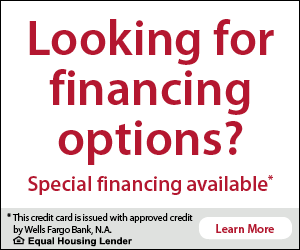 We also offer financing options with approved credit.